StudioWed is a collection of the industry’s finest wedding vendors. This is a revolutionary concept in planning your big day: a stylish and sophisticated studio where the region’s best vendors come to you. Best of all, there’s no cost to use StudioWed as you create the most remarkable wedding imaginable. We are excited to be a part of this event inspiring you to choose your custom wedding stationery to enhance your special day. 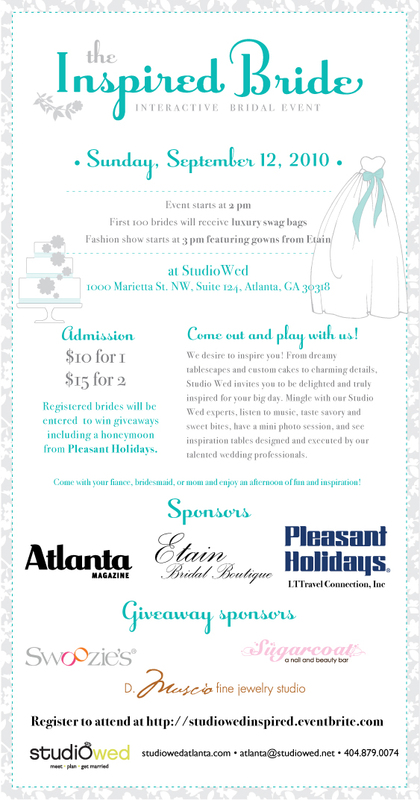 Register today at http://studiowedinspired.eventbrite.com/.